I’d be lying if I said dressing my body post baby didn’t make me anxious. Would my normal clothes fit? Would my maternity clothes fit? If it wasn’t bad enough, breastfeeding has opened up a whole new world of dressing as well. How can I whip it out as quick as possible and still feel like myself. Here are some quick easy outfits to be cozy, whip it out, and feel normal! I love this olive jacket from PinkBlush and all its details: plaid lining in the hood, gold buttons, and drawstring for a flattering fit. Plus it zips up as well for easy access! Such an affordable price point for an epic final fall layer. 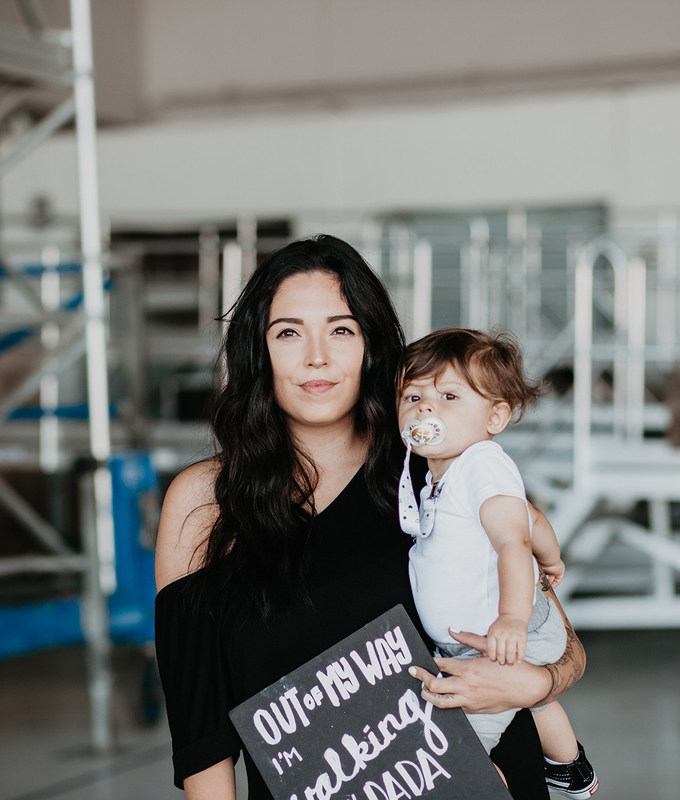 I hope this encourages other new moms while still recovering, and that these outfits bring you one less thing to worry about so you can focus on being the happiest and healthiest momma for your baby! Also, can we just appreciate how stoked Anakin is for these fall breezes? Happy fall, y’all! I love the colors and outfits! Fall is my favorite season!